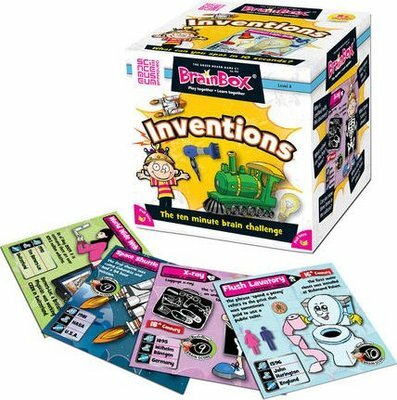 This Inventions Brainbox game is fun that all the family can enjoy! It’s a fast memory game that involves picking a card and studying it for 10 seconds before being asked a question from the back of it. If you answer correctly, then you get to keep the card. Whoever has the most cards at the end of the round wins! Scrub up on your knowledge of different contraptions with this fun fast memory game on BrainBox Inventions!